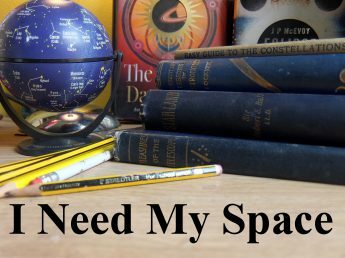 April | 2017 | I Need my Space! It’s been a while since I’ve done some serious lunar observing. Since getting my SLR in July last year I’ve been mostly photographing. Which is cool, but you miss the subtle changes that occur. The peaks in the middle of some craters, for instance, can change dramatically in an hour. But you need lots of time and a high power eyepiece for such observations. My stacking of the Jupiter film I took Tuesday didn’t happen today – but watch this space … I’m seriously wanting to do some Jovian imaging with my life, soon!